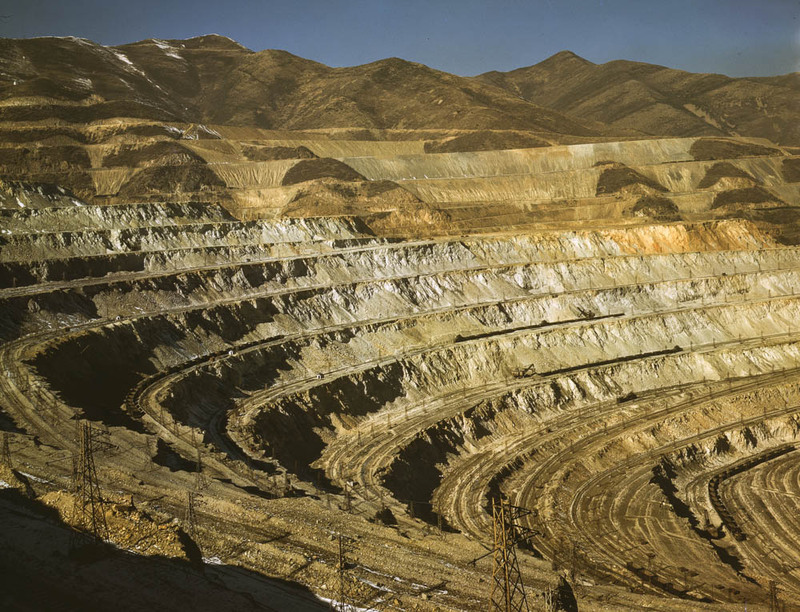 Bingham Copper Mine, Utah. Carr Fork Canyon as seen from ‘G’ bridge. In the background can be seen a train with waste or over-burden material on its way to the dump. 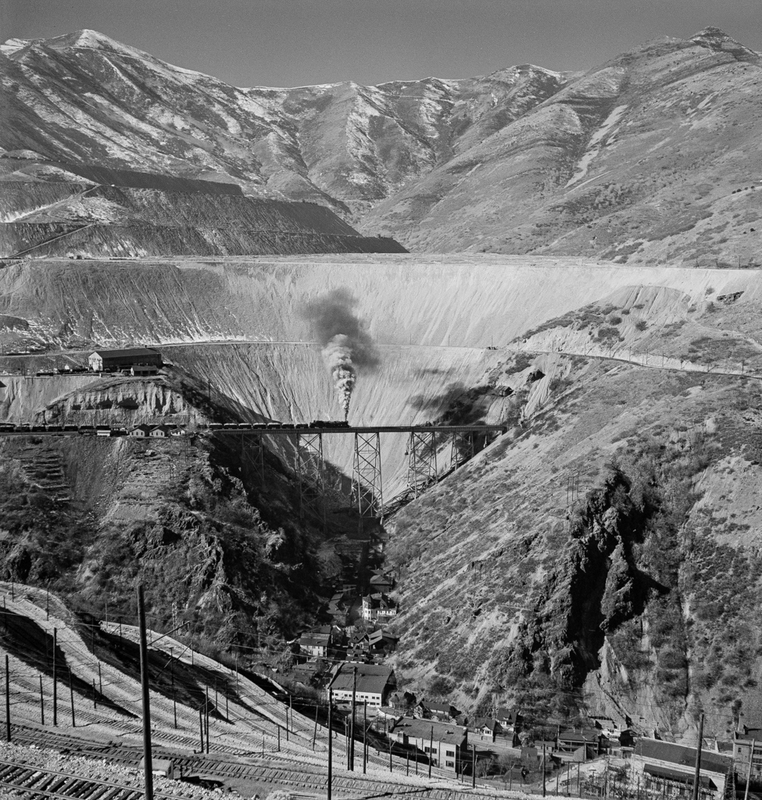 Bingham Canyon, Utah. 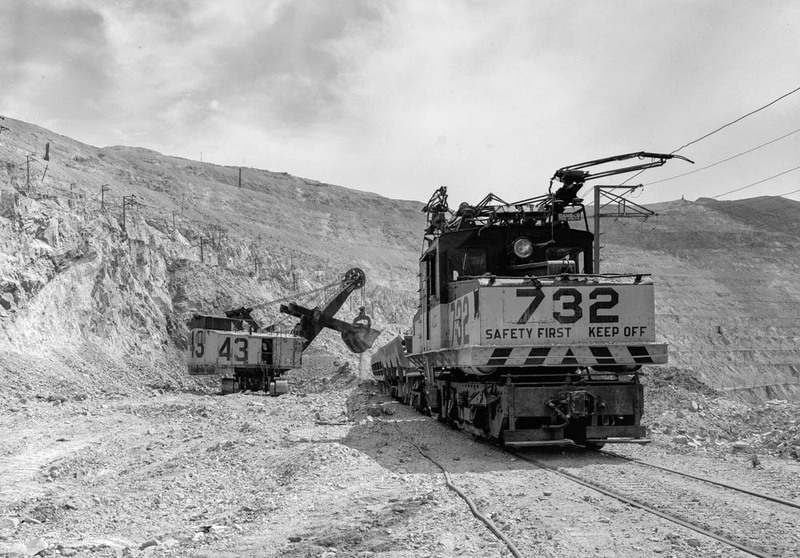 Ore train at a mine of the Utah Copper Company. 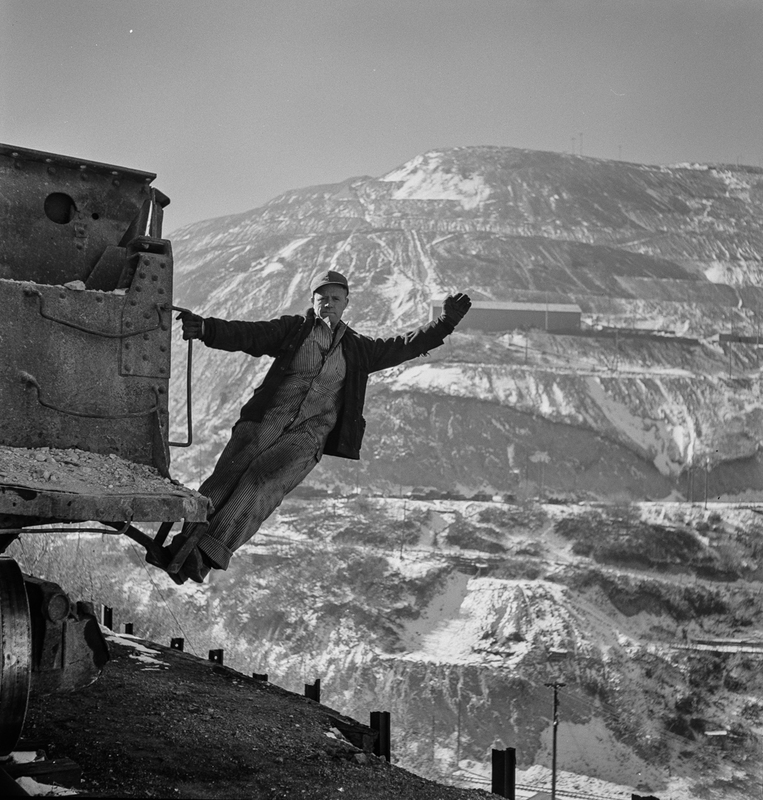 Until recently Bingham Copper Mine was the largest open cast mine on earth, and has been worked since the 1906. A full history can be read here. 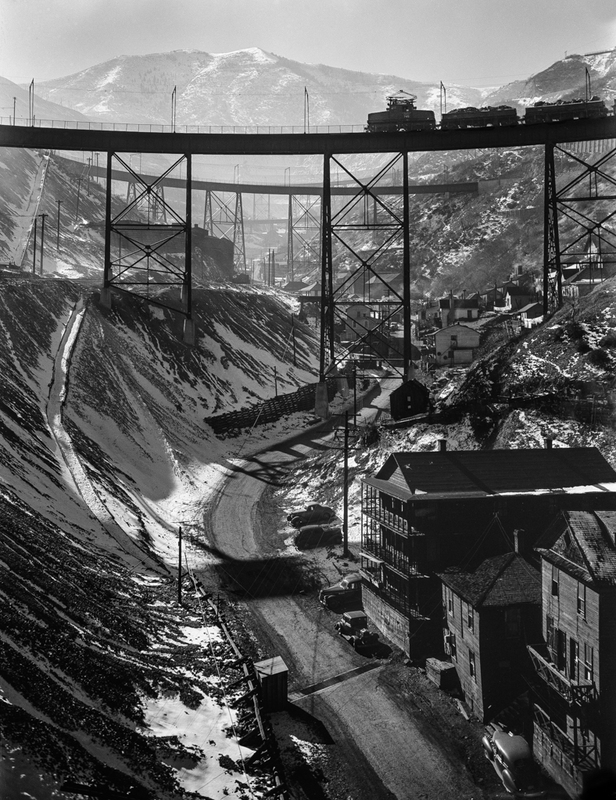 The mine is astronomically big, and for many years had an extensive internal railway system. 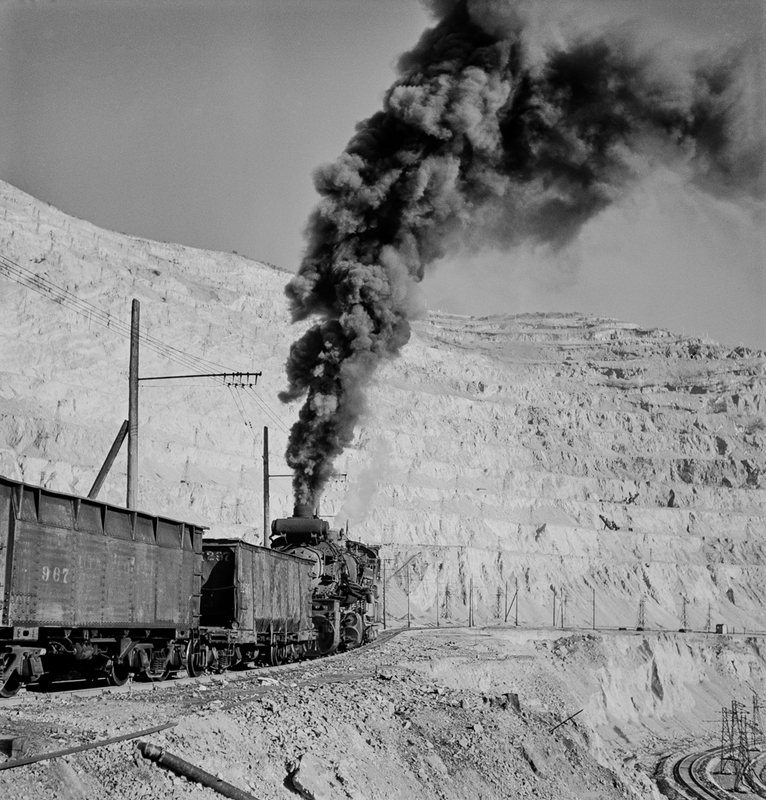 This was replaced in the 70’s by a conveyor system, although I think ore is still hauled to the smelters by rail, much like these photos from the 1940’s albeit not by steam. And although medium format doesn’t have the same level of detail as the glass negatives seen in some of my other Library of Congress images, it is nice to zoom into them and take a look at some of the smaller details that you wouldn’t really see when viewed at screen size, or even on a large print. The vast scale of the working is obvious in these photos in which the railway appears to be little more than a childs train set. I presume the driver was under instruction in the second photo to open it up a bit in an effort to get some exhaust, as otherwise the train would simply be lost. As it it is, it becomes a bit more of a focal point in the photograph. These photos are well worth downloading from the Library of Congress website and printing large to get the full effect! 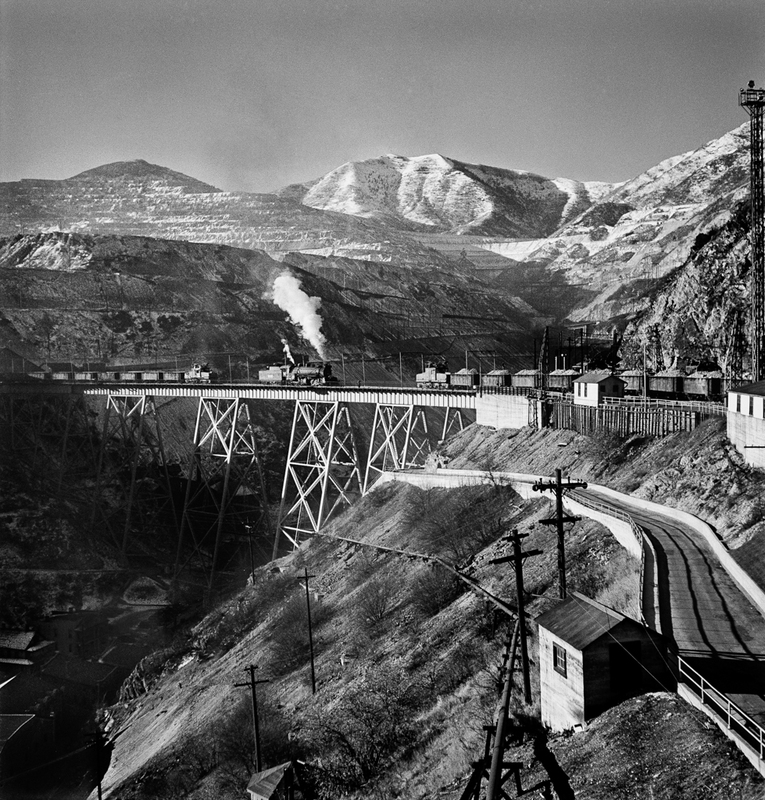 Ore trains on a trestle bridge above an open-pit mine of the Utah Copper Company. 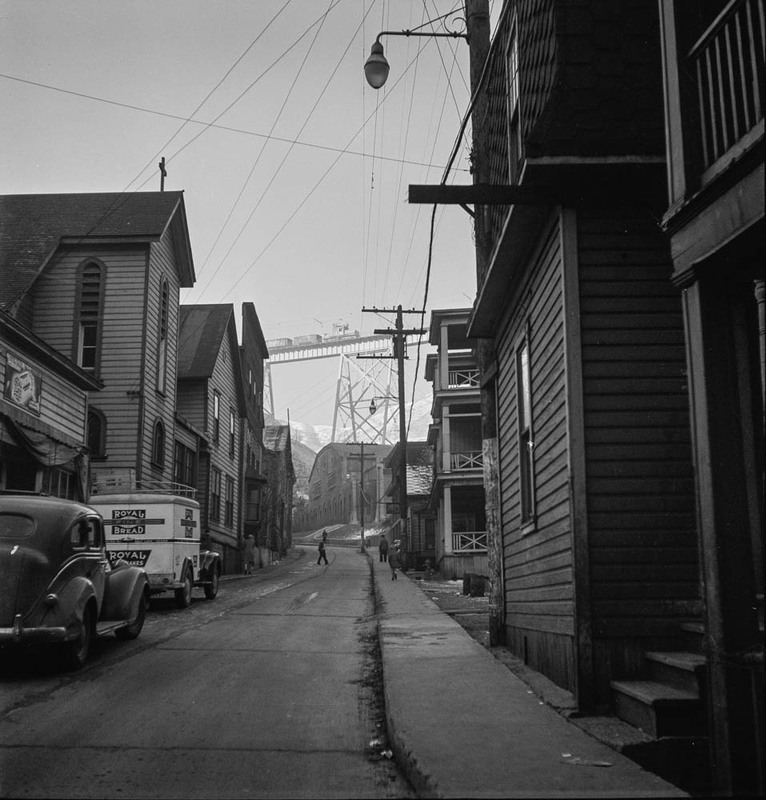 The one street of the town of Bingham Canyon where the Utah Copper Company workers live. 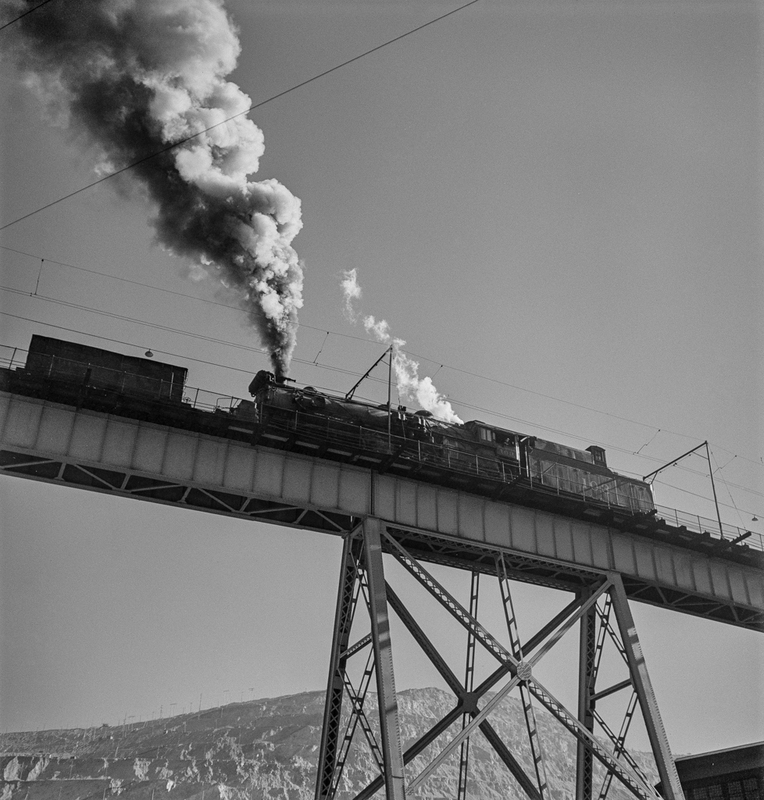 These photos are less about the railway and the locomotives and more about their place in this breathtaking environment. I’m looking at these photographs from the perspective of someone interested both in the industrial landscape and railways, and while the photographer probably lacked my narrow field of interest, he has in my eyes captured the essence of both in these photographs. Of course, there are plenty of other photographs in this series online at the Library of Congress and I’ve cherry picked the ones that interest me, but these are the ones that really stood out. The fact they are in black and white really adds to the effect in my eyes. 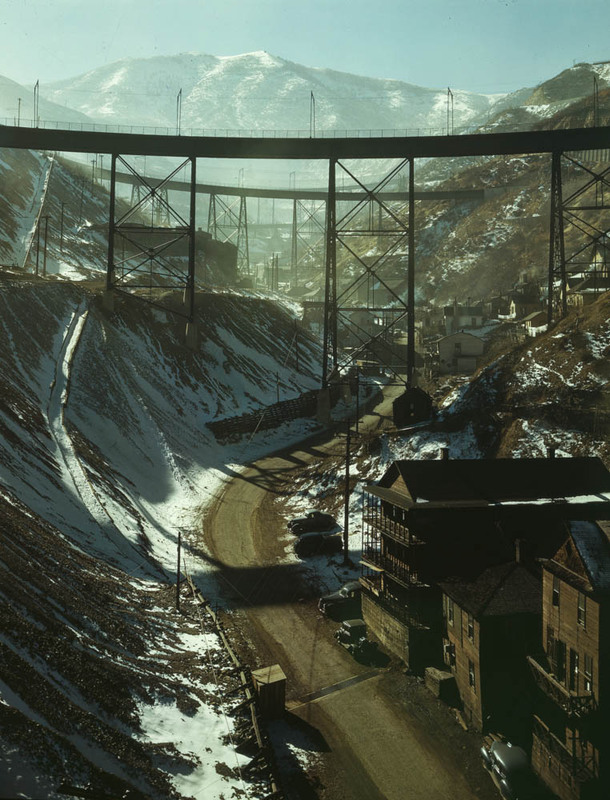 That being said, it is interesting to see the mine in colour, as the colours on show are amazing. Similar can be witnessed in the UK at the Parys copper mine in Anglesey, a big hole in its own right, but not on the same scale as this!